Place an order with us. 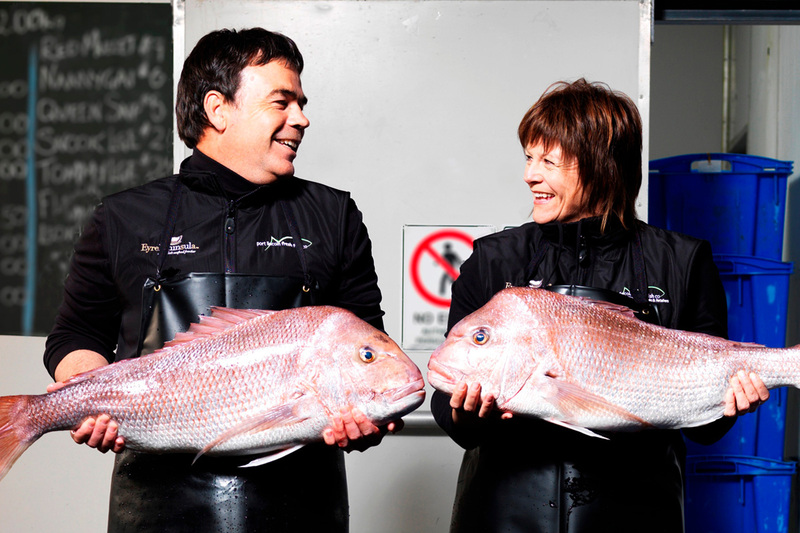 This family owned company was established in 2000 and has grown to be the largest supplier of seafood in the region – Eyre Peninsula “The Seafood Frontier” – processing a variety of seafood products including Scalefish, Squid and Shellfish. Over these years, the company has built up a seafood service division supplying the region’s restaurants, hotels, clubs and fish shops which has developed into the largest of its kind in the region. It also operates The Fresh Fish Place – a brand new factory direct retail outlet providing fresh seafood to the public along with factory tours and tastings for the tourist market and the Port Lincoln Seafood Cooking School – a fantastic new facility that brings together the culinary profession, seafood marketers and keen learners in TV, radio, seminars and demonstrations. Our quality service and products has developed due to the extensive experience within the seafood industry of Managing Director, Craig McCathie. Craig has fished commercially for 25 years within the Southern Blue fin Tuna Industry, Spencer Gulf Prawn Fishery, Shark and Leather Jacket Fisheries, Tasmanian Orange Roughy Fishery & the Shark Bay Scallop Fishery. Later going on to own licenses in the Sand Crab and Blue Crab Fisheries & now a member of the South Australian Sand Crab Trap Association. Craig’s most important task is sourcing seafood from the local fishermen scattered around Eyre Peninsula’s vast coastline. Craig has an affinity with these suppliers having been a commercial fisherman himself for 25 years. Over this time, he gained an invaluable knowledge of the commercial fisheries in this region as well as forming strong relationships with his fisher colleagues. Craig says, “Understanding the catching of fish and the supplier’s needs is vital to sourcing a reliable supply of fresh, high quality seafood”.